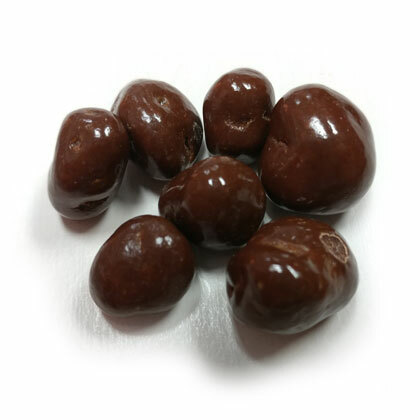 Plump raisins smothered in a delicious chocolate with no sugar added. Please note the raisins themselves contain a small amount of natural sugar. Approx. 14 pieces per ounce. 8 oz.